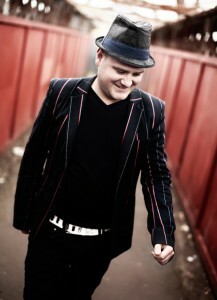 Ian Munro is a multi-instrumentalist, singer, songwriter and producer. Throughout childhood Munro was surrounded by musical instruments and musical people in and around his family which inspired him to dedicate his life to music from very early on. Upon leaving school Munro was doing professional gigs from the age of 18 covering and writing songs to play to all ages. Early recordings during the late-nineties in the UK had a Britpop edge to them as the hunger and desire to be a career musician burned inside of a young ambitious Ian. A move to New Zealand in his early twenties provided Munro with an opportunity to meet with new peers and learn about new influences that were outside the cultural explosion of UK music of the previous decade. Embracing the music of artists such as Crowded House, Dave Dobbyn, Tim Finn in their homeland helped shaped Munro’s identity as a singer, guitarist and writer and created a new awareness and ethos towards Music. The challenge of learning covers for a whole new audience was one that grew Munro as a performer and added a feather to his hat. Joining former Christchurch band GST (Goldfish Shopping Trolley) on bass, Munro was heavily involved in group writing, recording and performing which attracted label interest. Whilst Munro was fashioning and wearing second-hand clothes from “op-shops” all around NZ, the band decided to adopt Munro’s suggestion of the name Opshop and proceeded on with what was to become a successful career. Munro helped co-write and performed on the 2004 Platinum selling record “You are Here” (Siren/EMI) before leaving the band a year later and going on to record “A Change is Imminent,” an independent EP made up of songs written and produced by Munro. Having spent over half a decade in NZ Munro shifted his focus back to the UK and in particular London. Arriving back in the UK with only a suitcase and his favourite Maton 808 acoustic guitar, Munro slept on couches and lived above pubs carving a live reputation around the capital. 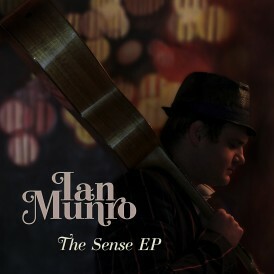 In 2011 Munro wrote, produced and performed “The Sense EP” at Bush Studios in Shepherds Bush. 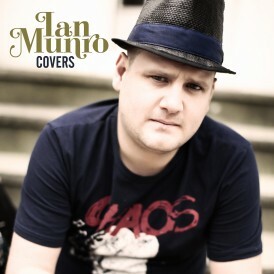 Released exclusively online though iTunes, Amazon, Spotify and others, Munro was able to reflect the many influences that were highlighted in his covers work. Following several years in London Munro took a residency with award winning hotel and resort chain One&Only. Based in the Republic of Maldives and playing at the company’s flagship property, Reethi Rah Munro was charged with keeping guests entertained with a bigger variety of live music and interacting with a worldwide audience. Upon finishing with O&O, Ian returned to New Zealand. Munro is full of feel in his guitar playing, and over 250 shows a year, has proved good exercise for his emotive voice. An avid “looper,” Munro can produce a band sound live onstage guaranteed to fill a room with pleasure and encourage dancing from any audience. To watch Ian Munro play is to see someone who has dedicated his life to his career for years and years. Artists that inspire Munro are paid respect to in his massive repertoire of covers. Check out a live show soon to hear what is on offer.